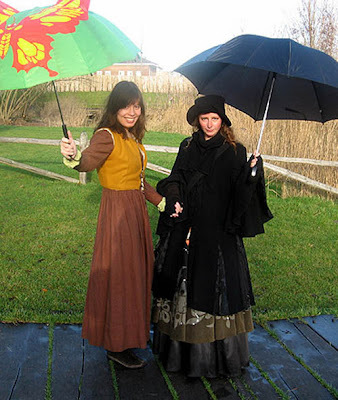 Labels: as worn at the MidWinterfair with a yellow bodice over it for warmth. wat! heb! jij! een! mooie! paraplu!